The countdown to the 2011 EcoChallenge is on! In just over a month, our cadre of EcoChallengers will set out to save water, conserve energy, reduce the waste that ends up in our landfills, prove that car-free transportation is a viable option, and eat more sustainably–and we hope to count you among our 2011 EcoChallengers. There are a few ways to participate–by starting your own team (and inviting your community to join the ranks), by joining the NWEI Community Team, or by signing up as an EcoChallenge fundraiser. If you need inspiration to start a team, just check out the list of teams who have signed up so far–the list includes large companies like The Standard, community groups like the Unitarian-Universalist Church Of Belfast and even an extended family taking on the EcoChallenge together, the Alex. T Jones Family Reunion team. We’d love to have your neighborhood, business, family or congregation join us too, so consider starting a team. We’re also welcoming participants on the NWEI Community Team. The more the merrier and everyone is welcome! For details on how to join the NWEI Community Team visit the team page on the EcoChallenge site. You’ll join Sarah Crump, our fabulous EcoChallenge intern, who’s taking on a no-trash challenge (and any trash she does generate during the EcoChallenge she’s pledged to carry around with her, as a visual of what can’t be recycled, composted or otherwise diverted from the landfill), and Sky Trombly who is undertaking a human-powered transportation challenge. If you’re feeling inspired, you are also invited to take on the EcoChallenge as an EcoChallenge Fundraiser. Our team of EcoChallenge Fundraisers will set out to raise $25,000 in pledges during the EcoChallenge–by collecting pledges from friends and family to support their EcoChallenge. Raise $50 as an EcoChallenge Fundraiser and you’ll also be eligible to win some great prizes. You’ll be in good company as an EcoChallenge Fundraiser- the entire staff and board of NWEI are participating as fundraisers again this year, and you’ll join other NWEI supporters like Erin Simons and Tami Boardman. Registration is underway, and we look forward to hearing what your EcoChallenge will be this year! Please join NWEI and the Port Townsend Co-op and Farmers Market for a special presentation from Growing Power’s Will Allen! 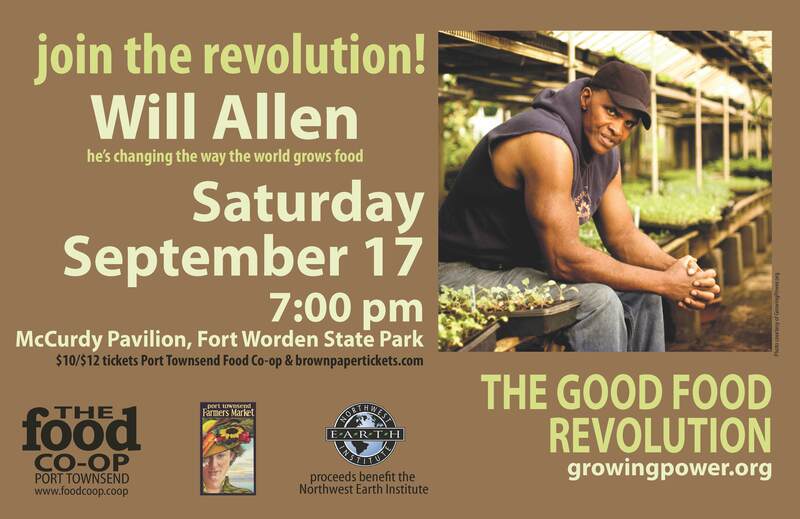 He’ll share his remarkable work in creating sustainable, urban, community based agricultural systems in Milwaukee, Wisconsin and inspire us to be part of what he calls “The Good Food Revolution.” The event is the keynote address for NWEI’s bi-annual conference to be held September 15-18th. Can’t join us for the whole weekend? Please come for Will’s evening presentation only – to be held Saturday September 17th at 7pm at McCurdy Pavilion in Port Townsend, Washington. Feed Your Desire For Change! How does one “do the right thing” when it is so darn easy to behave in ways that we know are not good for our world? Eating non-nutritious junk food. Spending money on non-essential things. Using resources wastefully. Flying on airplanes. Driving unnecessarily. You know what I mean. The temptations abound. I am practicing living with a paradigm shift made clear to me by taking courses from the Northwest Earth Institute (NWEI). NWEI is a nonprofit organization founded in Portland in 1993 that has since been replicated more than 20 times across the U.S. and Canada. What helped me is to find others who were equally interested in changing. Back in 2005 I invited 12 of my friends to take several of the NWEI courses with me to create a support system for living differently, specifically because I knew support for making changes would be necessary for me to succeed. To this day, many of us are close friends, almost like family, knowing we share core values that we clarified taking NWEI courses together. Learning to step outside my previously held views was one of the most potent things I could do. What a concept! The way NWEI courses work is this: You buy a book for a little over $20, books are available online at www.nwei.org. Any group can self-organize, neighbors, church members, people at work on their lunch hour. There is no group leader and there’s no teacher. It’s like a book discussion group and it meets weekly for six to eight sessions. But rather than just discussing “concepts” from the reading, what happens is you explore how you feel about what was read based on your life experiences. You also explore possibilities for changed behavior, and launch yourself, step by step, as you desire, if you desire, into a new way of living. If you choose to change, it’s from the inside – not from outside pressure. For the past decade, NWEI courses have been alive and well in Jefferson County. 10 courses are available including: Voluntary Simplicity; Healthy Children, Healthy Planet; Just Below the Surface: Perspectives on the Gulf Coast Oil Spill; Choices for Sustainable Living, Menu for the Future; and many more. Another course that deepens the dialogue about food is being launched mid-September. It has to do with ethical eating. More than 1,100 people in Jefferson County have taken one or more of the courses. More than 25 groups discussed the Menu for the Future course on food, locally, in the past three years alone. Each group had a farmer or food producer as a participant, often motivating people to directly support their local farmers with their food dollars. 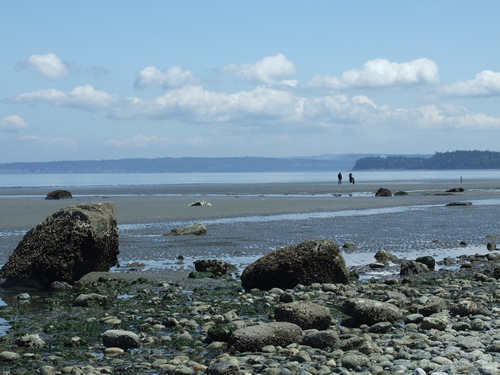 This September, Fort Worden is hosting a NWEI conference titled “If Not Me,Then Who? Building Healthy Communities and Local Food Systems One Conversation at a Time.” By attending this conference, just as my personal group of friends did for me, we can inspire each other with healthy behavior change around food choices and other habits. With this conference right in our backyard, the opportunity is at our fingertips. Keep in mind that your decision to attend this conference won’t just inspire you. It will feed our collective local enthusiasm for change. Judith Alexander is a long-time Port Townsend resident, private practice therapist, and enthusiastic volunteer for a sustainable world. 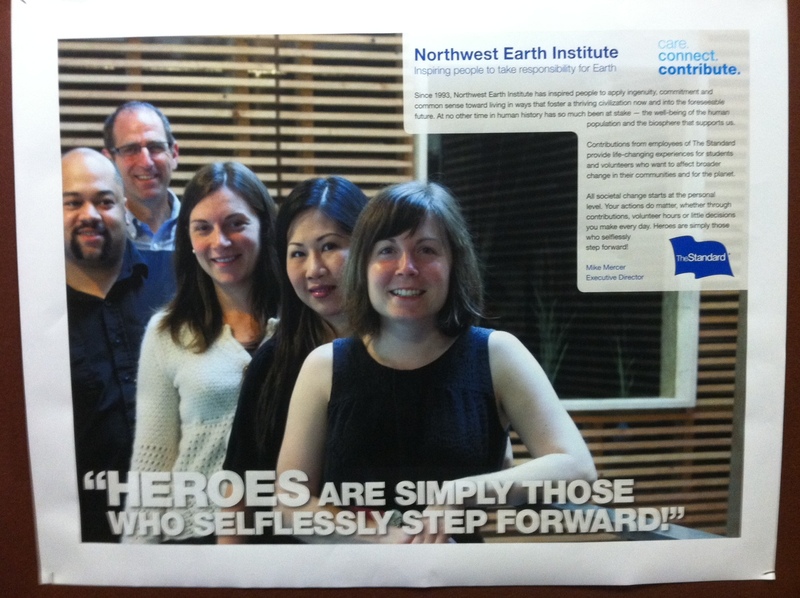 As many of you know, the faces of the Northwest Earth Institute extend far beyond the walls of our Portland, Oregon office. YOU are the face of NWEI: course organizers, discussion course participants, EcoChallenge participants, partner organizations, board members and volunteers alike. Thank you for all you do to take responsibility for Earth! Here are a few of the faces from our Portland, Oregon staff. From front to back: Lacy Cagle, Director of Curriculum and Community Engagement, Monica Pham, Office Manager and Accountant, Kerry Lyles, Development Director, Rob Nathan, Director of Outreach and Technology, and Mike Mercer, NWEI’s Executive Director. (Not pictured are staffers Deb McNamara and Carolyn White). The photo was taken for a giving campaign hosted by Standard Insurance, who has been organizing NWEI courses for many years. We thank those of you who have worked with us for being one of those fellow people to step forward in the spirit of creating a more sustainable world! Menu for the Future Plants Seeds in Springfield, Kentucky! Sustainable communities study groups for local business and civic leaders exist, as well as Earth Day celebrations, a downtown Farmer’s Market ,“smart growth” and farmland preservation workshops, and occasional sustainability columns in the Springfield Sun. 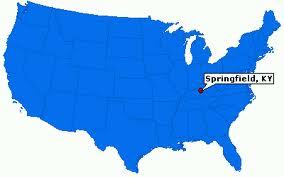 To help further the rural heritage vision, New Pioneers has encouraged Springfielders to buy locally. “If we could get people to spend just five percent of their food money on locally grown meats, fruit, honey and sorghum, instead of relying totally on the area’s two supermarkets, that would go a long way to build a sustainable food system,“ said the nun. To help promote this idea, New Pioneers has made a list available to residents with names and contact numbers of local farmers. Restaurants are also in New Pioneer’s line of vision: The group is inviting eateries to offer one menu every week featuring locally-grown food. “We always start small, with suggestions that are practical and doable.” said Sr. Claire. Why not big? Because “local food is more expensive than what can be bought from large industrial food producers,” she explained. Do Those Who Care Take Action? This week NWEI’s Executive Director, Mike Mercer, shares his reflections on what it takes to act on what you care about. Let us know what you think! “Those who know, care, and those who care, take action.” I heard this recently from a young woman speaking before an audience of business professionals at a sustainability conference. A short, sweet and valid point. Perfect! Problem solved– all we have to do to change any intractable problem is to shower people with information. If they would just listen! However, with this cliche, like many others, there is a bit more between the words that needs filling in. Let’s talk about “care” for a moment. Do I care enough to change to more sustainable behaviors when I am crazy with work, or Need to get the kids fed and off to soccer practice, or I’ve got no milk for the morning cereal? For many perfectly sane, intelligent, caring people, the answer is “no”. Not an explicit no, but many people mean to make sustainable choices, but just don’t get around to it, or are too swamped with other responsibilities. We all live with multiple priorities. I personally care about the atrocities occurring in Sudan and homelessness and the child prostitution occurring right in my home town. While I don’t perpetuate these actions, do I take any direct steps to ameliorate them or give to these causes? No. And it is not because I am callous, lazy or even lack a few bucks to give. It’s because I am focused on taking action on my other priorities – like a healthy planet that supports healthy people and helping my kids get through school and adolescence. Changing behavior is one tough nut to crack, particularly when the existing behaviors feel like the norm. So, how do we get people to care enough to make the change? Most often, it’s not about doing more, but doing what we already do differently. Disarm the time concern. Most of us have too much on our plates already. How can we tweak what we already do, without adding too many new “to do” items to our already long list? Tie changes to values many of us already hold and respond to – health, economic interests and wellbeing of ourselves and those closest to us. When we want to change draw on what most of us care for: family and health, for starters. Use the power of social norming and support. The single most predictable indicator of our behavior? Look and see what others in our network of friends are doing. Most of us don’t want to be outrageous or boring, we just want to fit in. Use messaging that creates a norm, like “75 percent of the employees in Jane’s department copy double-sided.” Be authentic. When we can point to what others are already doing, we can create momentum for positive change. Most of us don’t want to be judged on our current behaviors. If I am going to change, let me figure that out, but do provide me access to a variety of options that might fit my interests. We all start somewhere on the continuum of change. It does us well to be non-judgmental and an open minded! Knowing and caring are not enough to elicit the change we desperately need to see. Caring enough is! What are our priorities? What can we commit to starting or doing right now that will align our care with our actions? Let’s do it! This week we have a guest blogger, Sky Trombly, who graduated from college in 2010 with a degree in Environmental Studies. You can read her blog, Your Greener Path: Eco-Conscious Living for the Environmentally Aware here. Sky will be choosing only human-powered transportation for 2 weeks during NWEI’s EcoChallenge this October! Specifically, the public is invited to sign up for a personal eco-challenge to be completed during 2 weeks in October, from October 1st to the 15th. They have categories from water conservation to trash reduction with lists of possible challenges in each. Additionally, if you feel so inclined, you may also create your own challenge. The idea is to shift your perception away from “business as usual” so that you might make changes in your life that last longer than the challenge. I was somewhat stumped in coming up with a challenge. As you may know, I’ve been working on a year long eco-challenge since July 2011 and most of the suggestions I had already adopted, didn’t apply to me, or were already being addressed by my own challenge. Up until August 2010 (for 25 years) I didn’t own a car. I used buses, walked, biked, or bummed rides and I was thin. Since getting a car in order to commute to college, I put on a lot of weight. Why? 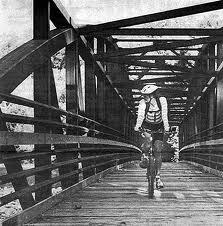 Well, a lot of my transportation problems now had a quick, easy, and exercise-free solution. Am I really benefitting from my car now that college is over? Can I get around using it so often? I’ll be putting it to the test in October when I will choose only human-powered transportation for 2 full weeks. I may decide that my family doesn’t need two cars after all. If you’d like to follow this adventure, I will be writing about it for the duration of the challenge. Also, I’m taking an additional challenge on during this event: I will exercise outside or without electricity for these two weeks. Please think about signing up for your own eco-challenge this October.